The need to repair a torn ear lobe is a frequent occurrence as piercing an earlobe puts it at risk to tearing. The size, style and especially weight of an earring can also contribute to the stretching of the earlobe opening. Large earrings that dangle are caught on sweaters or even grabbed by small child. The end result may be a partially or completely torn earlobe. 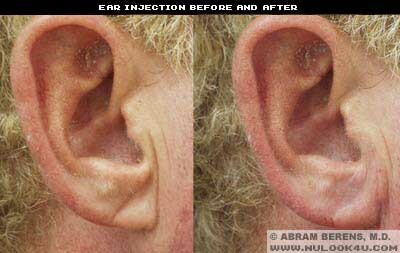 Ear lobe repairs are usually a straight forward procedure with no associated downtime. 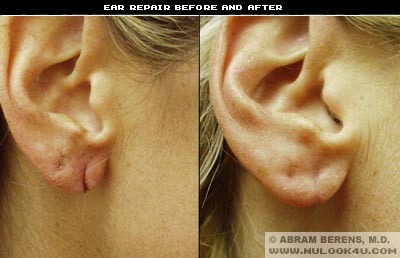 Earlobe repairs in our Plantation / Fort Lauderdale office can “refresh” and suture together the edges of your damage or tear. It’s a relatively common procedure that takes only 15 to 30 minutes. It’s performed under local anesthesia on an outpatient basis. You can safely pierce your ears again 2 to 6 months after repair. If bothersome keloid scars form within the new piercings, you can get them treated by injection or surgical excision in our broward office .